Eighteen all-weather composition courts comprise the two outdoor tennis facilities. Each center is open for day and night play from March 30 through October 25, 2019. 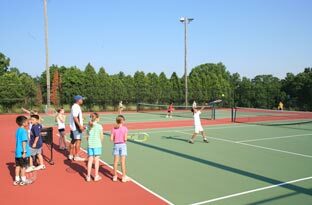 Green Knoll Tennis Center, located in Bridgewater Township, features summer instructional clinics and a variety of youth and adult tournaments. 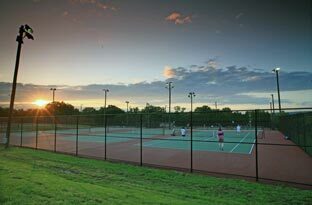 Colonial Park Tennis Center, in Franklin Township, is accessible to persons with physical disabilities, and is ideal for organized league play. During the months of April through October, reservations may be made at Green Knoll Tennis Center 24 hours in advance by calling 908 722-1200 ext. 5021. The cost per court hour is $8 on weekdays until 5pm. The cost at all other times is $10. There is no charge for use of the walk-on courts at Colonial Park, except for permitted league and tournament play. During the winter months, there is no charge for use of any of the courts. . For additional information on tennis, please call 908 722-1200 ext. 5226. Individuals with hearing impairments may use the Relay Service at 711. 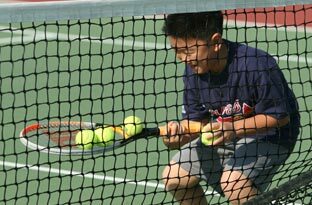 Tennis instruction is offered for players of all abilities. One week lessons are conducted for children, ages five and older. Adult lessons are offered in the evening from 6:30-8pm, and run for five weeks one night a week depending upon ability level. Lessons are offered for beginners through intermediate/advanced players. Lessons include drill work, play action drills, challenge court time, and tournaments. Lessons begin the week of June 24, 2019. 908 722-1200 ext. 5226. Individuals with hearing impairments may use the Relay Service at 711. E-mail the Recreation Dept. with any questions or comments.